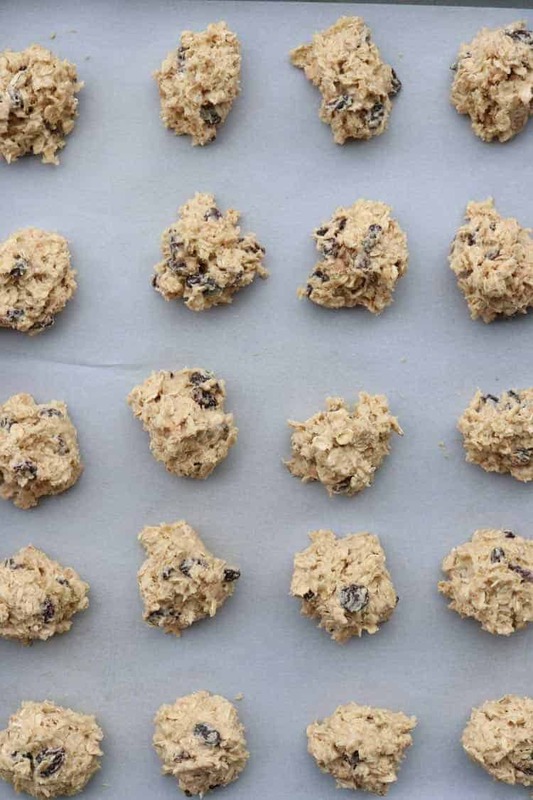 The best homemade recipe for quick Oatmeal Raisin Cookies! 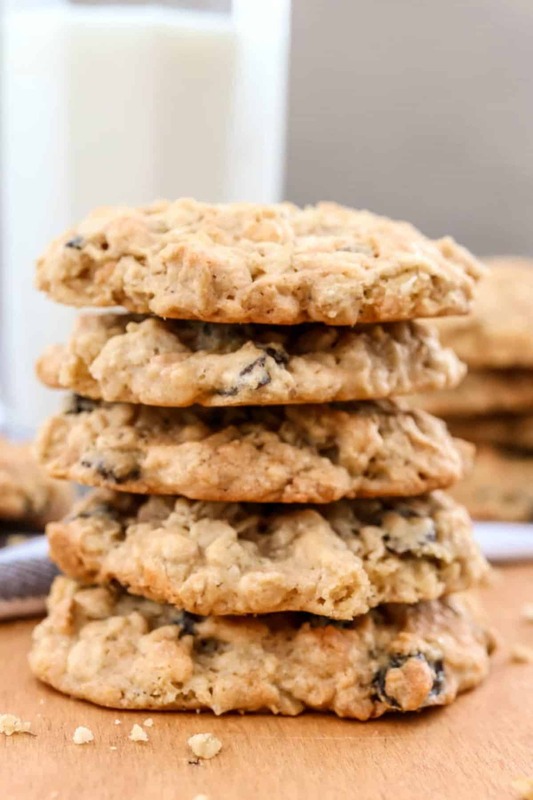 Soft, buttery, chewy cookies loaded with old fashioned oats, coconut flakes and raisins. Ready in under 10-minutes, you’ll love this quick recipe. If you enjoy coconut flakes in recipes, try our Chocolate Chip Coconut Cake Bars or the Layered Cake with Almonds and Coconut. 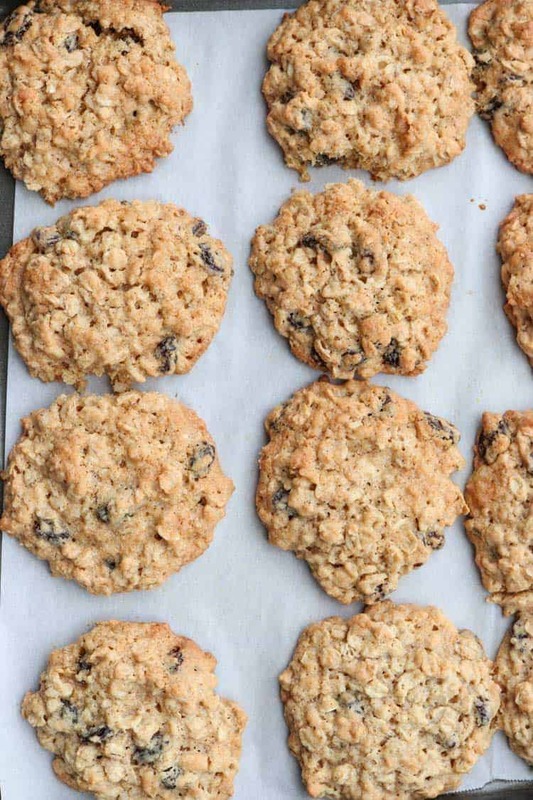 These truly are the best oatmeal cookies, and it’s such a simple recipe. From the texture of the cookie to the flavor, it’s an amazing recipe. The cookies are loaded with oats, raisins and coconut flakes. When served warm, the cookies are irresistibly addictive. Combine the dry ingredients in a bowl, set aside. Beat butter and sugar until creamy. Add eggs. With a spatula, fold in the raisins, oatmeal and coconut flakes. TIP: Allow cookies to slightly cool before transferring them to a cooling rack or they’ll fall apart. 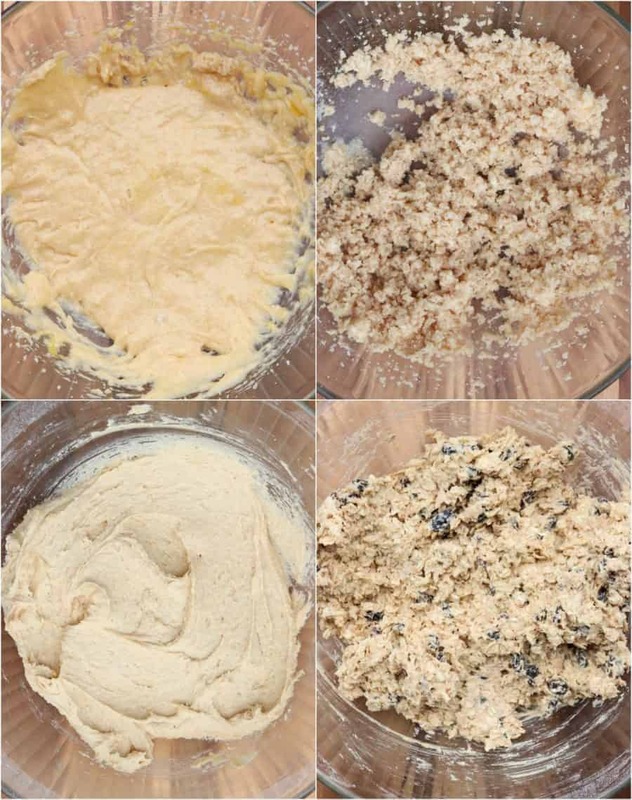 What are the ingredients for Chewy Oatmeal Cookies? The ingredients for these oatmeal cookies are ones you most likely already have in your pantry and refrigerator. You’ll need flour, baking powder and soda, salt, cinnamon, butter, eggs, sugar, raisins, oatmeal, and coconut flakes. Yes, these oatmeal cookies freeze well. Once the cookies have completely cooled, add to a freezer bag and freeze. Thaw cookies to enjoy. Reheat in the oven, if desired. How to store Oatmeal Raisin Cookies? To keep cookies soft and chewy, keep in an airtight container like THIS one. 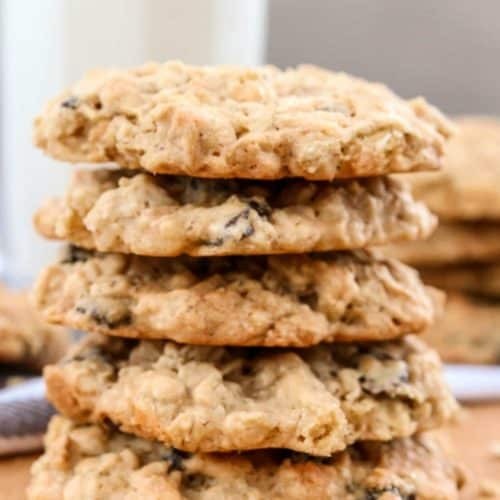 Soft, chewy and easy recipe for Oatmeal Raisin Cookies. Cookies loaded with old-fashioned oats, coconut flakes and raisins. Spread out coconut flakes onto a baking sheet. Bake 5-7 minutes, or until coconut flakes begin to take on a golden color. Set aside to cool. In a bowl, combine flour, baking powder, baking soda, salt and cinnamon. Set aside. In a large bowl, beat butter and sugar (brown and granulated sugar) until creamy. Add flour mixture and mix on low speed until well combined. With a spatula, fold in coconut flakes, raisins and oatmeal. Drop dough by heaping tablespoonfuls onto baking sheet. Bake 9-10 minutes for a chewy cookie. Hi Valentina, EXCELLENT cookies!!! my 4 year old couldn’t stop eating lol!! I used quaker old fashioned whole rolled oats, do you use that or the quick cooking oats? I used old-fashioned oats as I like the texture it gives a cookie. However, quick oats may be used. They will just be more delicate (and a bit mushier) and will take a little less time to cook. Thanks for visiting our online home:). That’s wonderful, Nina. I am totally in agreement with you. They are a perfect combination and with the oatmeal it kind of feels healty(ish), ha!